With the current year slowly coming to an end, application deadlines for various DAAD-opportunities for spending productive time in Germany are also starting to approach. Most deadlines are December 15, 2014. Start your application as soon as possible! 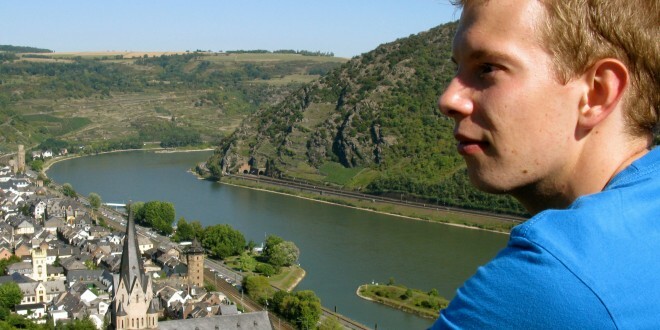 Have you ever thought about spending a summer, a semester, or even a full year in Germany, taking Language courses, subject-specific courses, or doing research on a particular topic that interests you? The DAAD (German Academic Exchange Service) is providing all these opportunities, covering up to 70-80% of all costs involved in going to study to Germany! University Summer Course Grant (see http://www.daad.org./summercourse/ for more info). This grant supports a three- to four-week summer course taught in German at a German University, with a focus on literary, cultural, political, and economic aspects of modern and contemporary Germany. There are no restrictions as to field of study, but applicants must have attained at least 4 semesters of German courses or obtained a language level of B1 and be in their second year of study at the time of application (have completed second year when starting the summer course). This scholarship is approximately €850, which covers tuition, room, and board, in whole or in part. The DAAD will also cover health insurance and provide a lump sum toward travel costs. At the discretion of the department, in certain cases, credits can sometimes be transferred and used towards your degree at UofT! German Studies Research Grant (see http://www.daad.org/germanstudies for more info). This grant supports highly qualified undergraduate and graduate students who are nominated by their department chairs. This grant may be used for short-term research (one to two months) in Germany in fields of cultural, political, historical, economic, and social disciplines. To be considered for this grant, you must have at least third-year standing, pursuing a German Studies major or minor. Candidates are expected to have completed two years of German and a minimum of three courses in German Studies (literature, history, politics, or other fields) at the time of nomination. The support ranges from $1,500 to $3,000, which is intended to offset living and travel costs during the active research phase. There are no specific deadlines for this grant! Intensive Language Courses in Germany (see http://www.daad.org/languagecourses for more info). This grant support undergraduate (NEW!) and graduate students to attend eight-week intensive language courses at leading universities in Germany. Courses can be taken between June and January of the following year. The scholarship of approximately €2,300 covers tuition, accommodations and a cash allowance, depending on the choice of course, location, and accommodation. DAAD will also cover health insurance and provide a lump sum toward travel costs.